Can’t decide how much lemon you want? These three easy lemon cake mix cookies are all made with the same dough. Try them all and choose your favorite! It just occurred to me that many of the dessert recipes around here, like homemade Samoas and Double Decker Triple Stuffed Brownies, can be quite time consuming. Don’t get me wrong…they’re worth it. But they’re definitely time consuming. But sometimes you just need a recipe that is easy. And, of course, it has to be as tasty as it is easy! That’s where these lemon cookies come in. Three different lemon cookies, all from one simple dough. Yum. 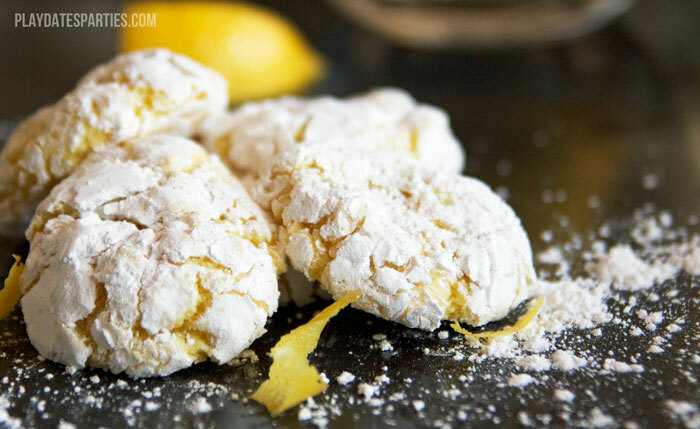 Powdered sugar lemon cookies are the most basic, and have the lightest lemon flavor of all. These are perfect if you just want a hint of citrus flavor. I, however, love strong and tart lemon in my baked good. Please don’t tell me I’m alone in this. Lemon thumbprint cookies take the same lemon cookie dough, and increase the citrus flavor with just a bit of lemon curd. The Husband was a big fan of those. But, if you’re like me…you might want even more lemon flavor. Lemon curd is awesome, and it definitely ups the tart, citrus flavor of these lemon cake mix cookies. BUT…if you want lemon flavor that really packs a punch, you’ll want to make the iced lemon cake mix cookies. A little powdered sugar, a tiny bit of milk and corn syrup, lemon extract and lemon zest all come together to create an amazing icing that perfectly compliments the soft lemon flavor from the lemon cake mix cookies. You see, it’s so easy to take basic lemon cake mix cookies and turn them into any number of delicious treats. And if you’re not sure which kind to make, just split your batter up and make them all! Can't decide how much lemon you want? These three easy lemon cake mix cookies are all made with the same dough. Try them all and choose your favorite! Pour cake mix into a large bowl. Stir in eggs, melted butter, lemon extract, lemon zest, lemon juice and cloves until well combined. Dough will be sticky. Use a cookie scoop to create evenly sized cookie “balls”, but don’t “roll” the cookies. Roll dough balls in a bowl of powdered sugar before baking. Place on a parchment lined baking sheet. Bake for 6 to 9 minutes until just slightly browned. Do not overbake. Press your thumb in the cookie ball to create a well, being careful not to make it too close to the edges. Place cookie dough on a baking sheet. Drop 1/4 tsp lemon curd in the well you created with your thumb. Bake for 6 to 9 minutes until just slightly browned. Do not overbake. Sprinkle with a little bit of clear sugar sprinkles while the cookies are still hot. 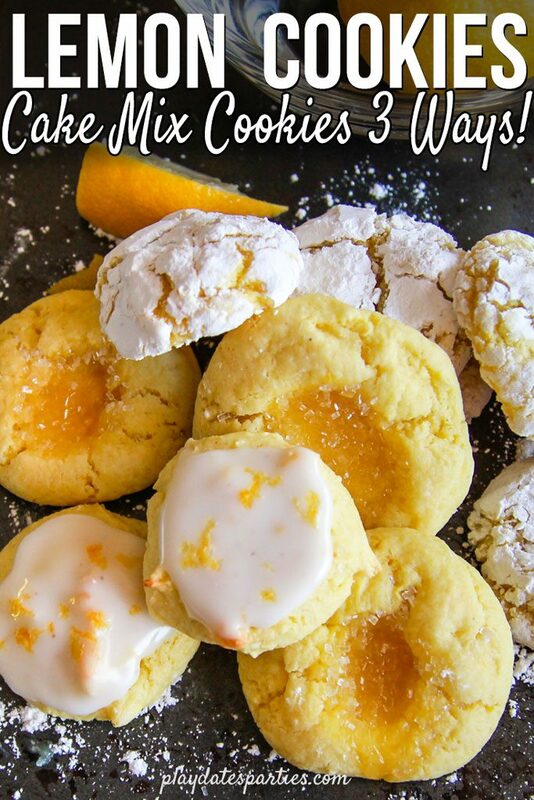 While the cookies are baking, combine 1 cup powdered sugar, 2 tsp milk, 1 tsp corn syrup, 1 tsp lemon extract, and a squeeze of lemon juice in a bowl. Whisk until combined. Use the back of a spoon to place icing on cooked and cooled cookies. Garnish with extra lemon zest. 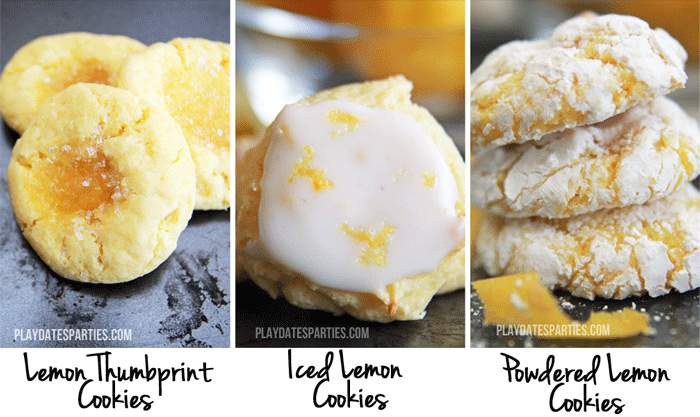 Which of these three lemon cake mix cookies do you want to try most? Ooo these look good. I love anything lemony. I pinned these to make over the summer – thanks for sharing these at Thursday Favorite Things, I can’t wait to make these! I just love anything lemon. Thanks for pinning! I’m thinking we may ned to make these again soon, too. This looks yummy! Thanks for sharing at Think Tank Thursday. They were scrumptious! Thanks for stopping by! These look delicious and I love any sweet citrus treat. I’m excited to give these a try! Thanks so much Mistie! Please let me know if you try them! So easy and delicious! 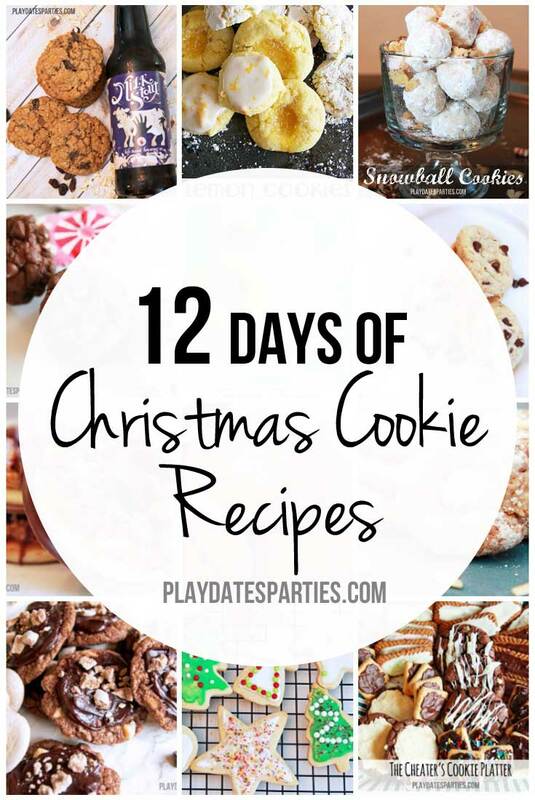 I love that you can make an array of different cookies with one dough! I’m all about multi-purpose anything, even my cookie dough! 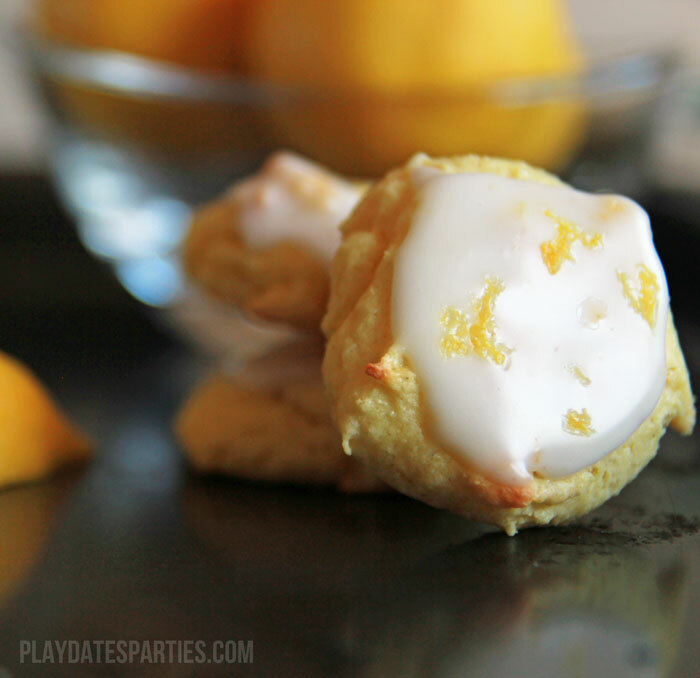 I’m totally in love with lemon cookies, so I’m sure you’ll understand why I’ve pinned more than one of your fab photos! Thanks, and I can’t wait to try them all! Thanks so much! Lemon is one of my favorite flavors. It was really hard not to eat all of these in one or two days! The iced ones were definitely my favorite, too! They had a 1-2 punch of lemony goodness! All of these sound so amazing! Pinned!! I love anything with lemon, so I’m definitely going to try these! If you have time, I would love for you to come and share this post over at the Really Crafty link party that is live right now! http://keepingitrreal.blogspot.com.es/2016/04/welcome-to-really-crafty-link-party-15.html). There’s just something so fresh and bright about lemon treats. Thanks for stopping by! Oh these look AMAZING! 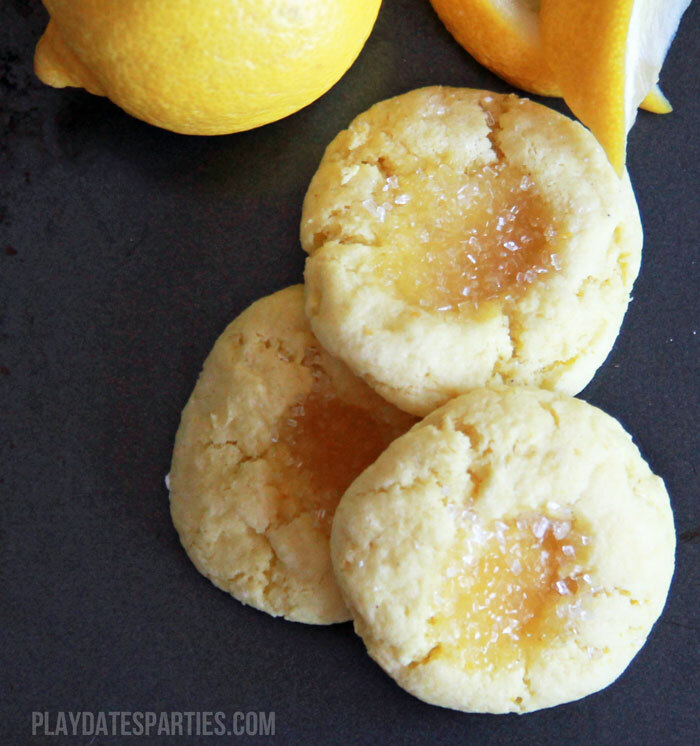 Lemon desserts are some of my favorites ever and these sound so good! Thanks so much for linking up with us in the Best of the Blogosphere Link-Up! Hope to see you again tomorrow! Thanks for sharing your yummy recipe at the Inspiration Spotlight party. Pinned and shared. Yes, I LOVE lemon and have a whole tree full of them right now. I love that you can get 3 variations here from your base. Pinned and shared! Hi Leslie, anything lemony gets a thumbs up from me and the more lemony the better. The cookies with the addition of lemon curd do sound nice as do the ones with the lemony icing. I love powdered lemon cookies!! Thanks for sharing at the What’s for Dinner party! The Lemon Iced Cookies are calling my name! I love lemon desserts! Especially ones made with an easy cake mix. Can’t wait to try! 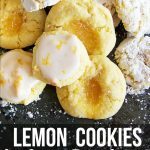 I love everything lemon and these cookies look especially yummy! Thanks for sharing on Foodie Friday! I love anything lemon and all three look delicious! Thanks for sharing with SYC. Thanks so much for sharing with us at Full Plate Thursday and sure hope you are having a great week! 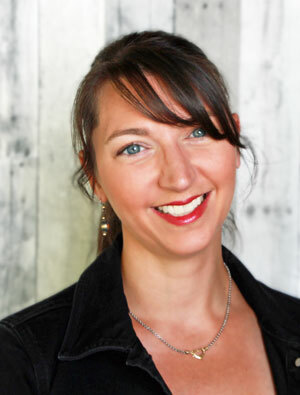 Hi Leslie, I wanted to feature you today at SYC, but I’m not seeing a link back to the party. Sorry, it is a requirement. I am not a fan of cloves, can I leave that out or does it enhance the lemon flavor? You can definitely leave out the cloves, no problem.